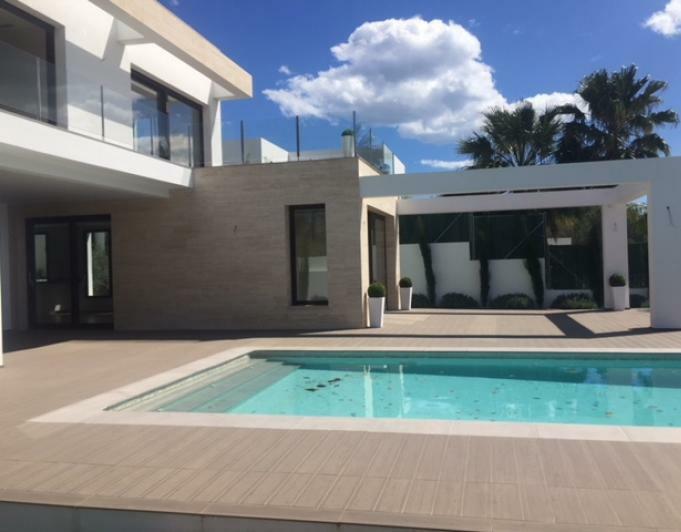 Villa in Javea for sale in the "El Tosalet" Urbanization. Plot 1130 m2. The house is distributed over two floors, on the first floor are the 3 bedrooms each one with bathroom and air conditioning. Two of them have a terrace overlooking the garden and a private pool. On the ground floor is the kitchen, with access to the swimmingpool and terrace, a bathroom and large living room. Natural gas heating. The Urbanization has a 24-hour Security Service. The distance to the sand beach and the town center is less than 10 minutes drive.